IT.integro honored with the Forbes Diamonds 2019 award! For another consecutive year, IT.integro has been placed in the prestigious Forbes Diamonds ranking. The Forbes Diamonds is an annual ranking of companies that were the most successful in increasing their value in the past three years. Results of the “Forbes Diamonds 2019” ranking were developed based on the Swiss method of company value evaluation. The key criteria that are taken into consideration include: financial performance for 2015-2017, company’s assets, payment history and credibility, as well as the lack of negative legal events. Companies placed in the elite Diamonds group were divided into 16 voivodeships and three revenue levels: PLN 5-50 million, PLN 50-250 million, over PLN 250 million. The ranking results will be announced during the official regional Diamonds Galas – meetings of editors and business owners ranked highest. The Diamond Gala is a unique opportunity to share knowledge and experience and will be held in major Polish cities from March to June 2019. We are very proud that for another year in a row we are the winners of this distinguished award. 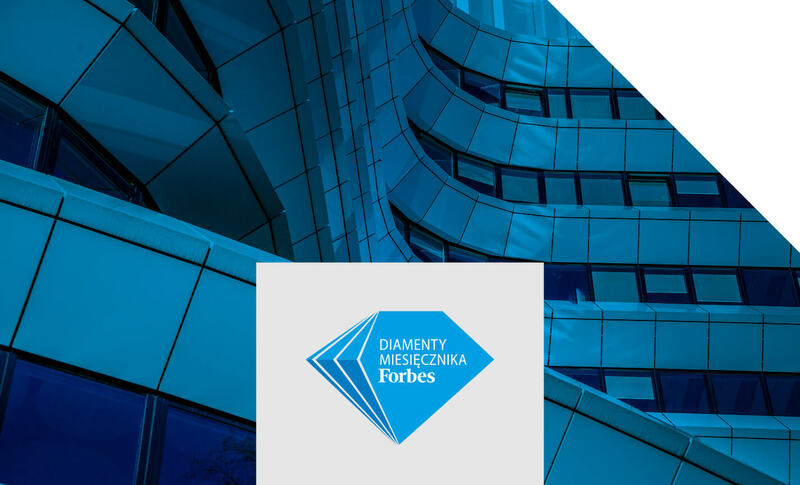 The Forbes Diamonds distinction is granted to organizations to confirm their business effectiveness, reliability and credibility among customers and partners.